Oded Oron (PhD, International Studies, 2018) was a graduate student and journalist in Israel when he witnessed a massive protest in Tel Aviv’s city center in 2014. More than 40,000 asylum-seeking migrants from Eritrea and Sudan had gathered to protest their treatment in Israel. Oron was moved by the event. To explore that question, Oron came to the University of Washington, joining the second cohort of a new PhD program in the Jackson School of International Studies in 2014. Oron was drawn to the UW by the expertise of its faculty, especially Jackson School professors Joel Migdal and Kathie Friedman and political science professor Michael McCann. Migdal has extensive knowledge of Israeli history and politics, Friedman is an expert on forced migration, and McCann’s areas of expertise include social movements, protests, and collective action — all topics germane to Oron’s research on asylum seekers in Israel. Asylum is a fairly new phenomenon in Israel. In the 30 years prior to 2005, the country received approximately 5,000 asylum applications — an average of 170 each year. After 2005 that number skyrocketed, as displaced Eritreans and Sudanese entered through the border between Egypt and Israel. About 64,000 asylum seekers had arrived by 2012. They’ve been through hell and back and made time to share their journey and most intimate experiences with me. Many of the arrivals settled in Tel Aviv without a real legal status or rights. Some were sent to Israel’s Holot Detention Center (since closed) for at least one year on a rotating basis, despite international laws stating that asylum seekers not be penalized for crossing the border illegally if they identify themselves to the authorities and claim asylum. “It’s something that the majority of asylum seekers in Israel did when they got to Israel, but that was completely disregarded,” says Oron. To explore that question — how marginalized migrants coordinated a massive protest — Oron returned to Israel for field research, with support from the Stroum Center for Jewish Studies and the UW Center for Human Rights. He interviewed NGO professionals and activists who supported the protest, and more than 35 asylum seekers from the Sudanese and Eritrean communities. He also made 10 trips to Holot Detention Center to speak with dozens of detainees. With his PhD now complete, Oron is ready to leave academia. He hasn’t ruled out teaching part-time, but his priority is working hands-on with an NGO or other international organization directly assisting migrants, and advocating and studying migration and asylum issues. 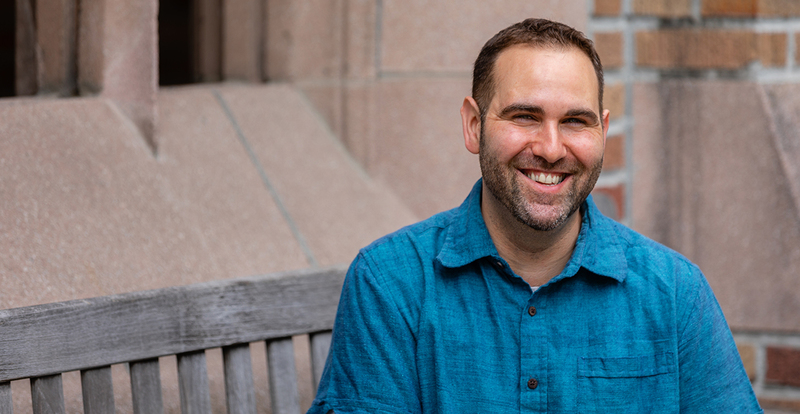 You can help UW students like Oded Oron by supporting scholarships and fellowships in the Stroum Center for Jewish Studies and the Center for Human Rights.